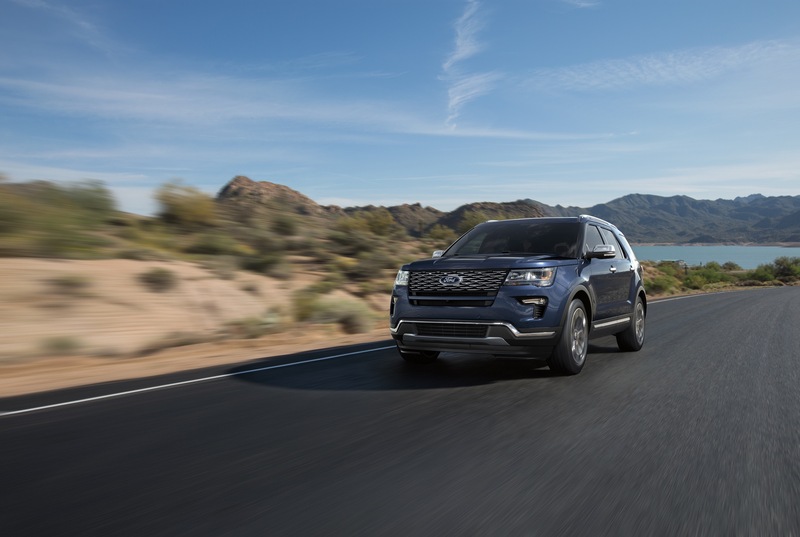 In announcing the 2018 Explorer, Ford stated that the the crossover features updated front and rear fascias when compared to the 2016-2017 model. 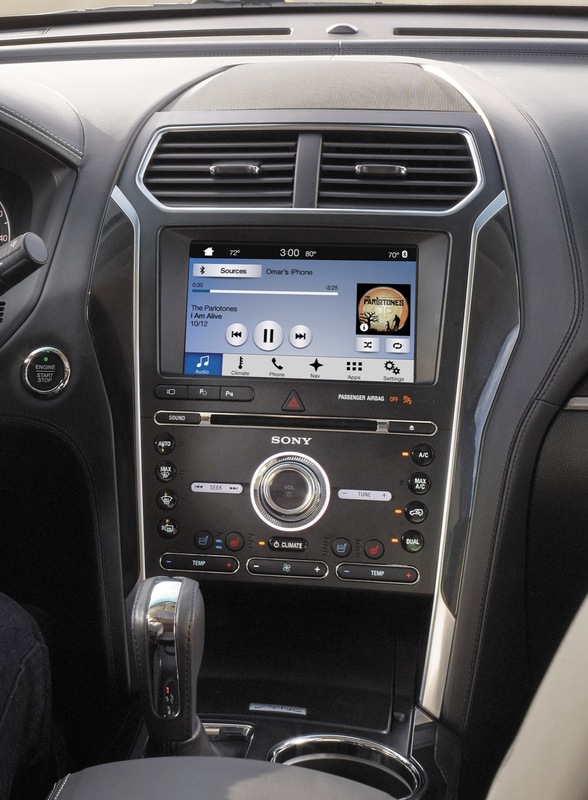 But the changes might not be immediately apparent because they are so small. That circumstance has led us to create the below side-by-side comparisons. 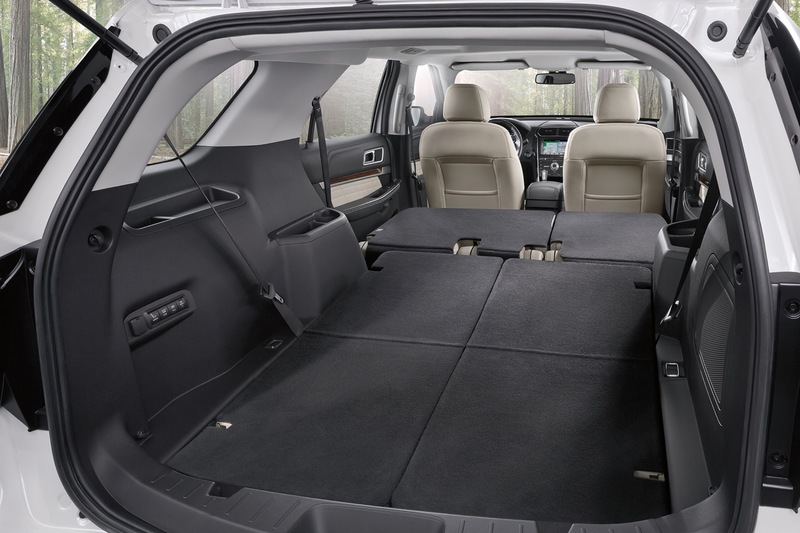 For the comparo, we used the Explorer’s range-topping Sport and Platinum trim levels, since both vehicles have slightly different exterior personas. Probably the most prominent change to the front end of the 2018 Explorer Platinum over the 2016-2017 model is the grille, which now has a different pattern. 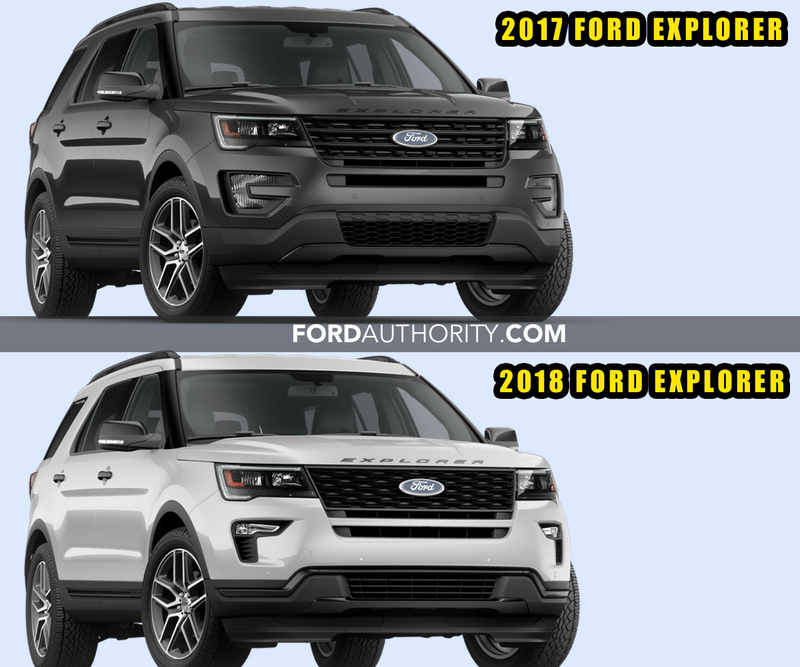 Additionally, the 2018 Explorer gains a pair of redesigned secondary lights (the ones below the primary headlight cluster), doing away with the C-shaped secondary lights of the 2016-2017 Explorer. 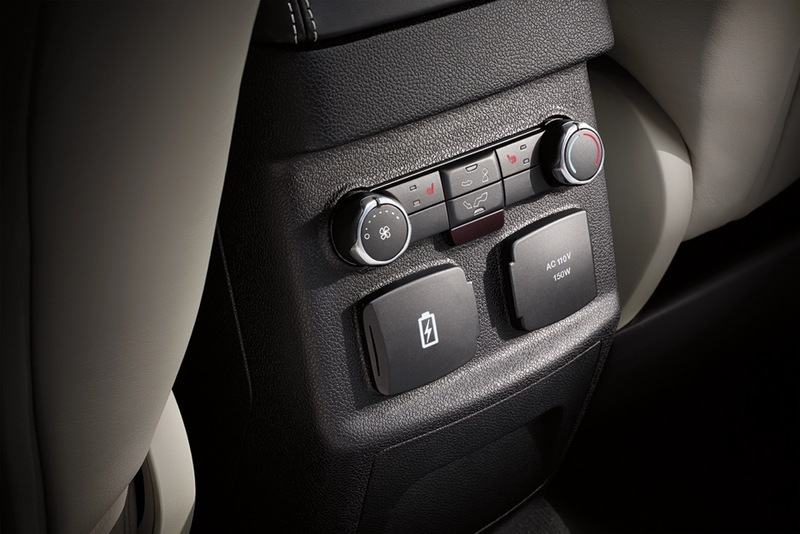 In their place is a new, horizontally-shaped secondary light. To fit the new secondary lights, the front bumper cover was modified as needed, gaining a new shape that contains the horizontally-placed secondary light and a vertical cutout beneath it. Additionally, the 2018 Explorer Platinum has a revised front bumper cover, which now has a chrome strip spanning the entire front clip as well as a new lower grille with horizontal lines that replaces the honeycomb-pattern grille of the 2016-2017 model. 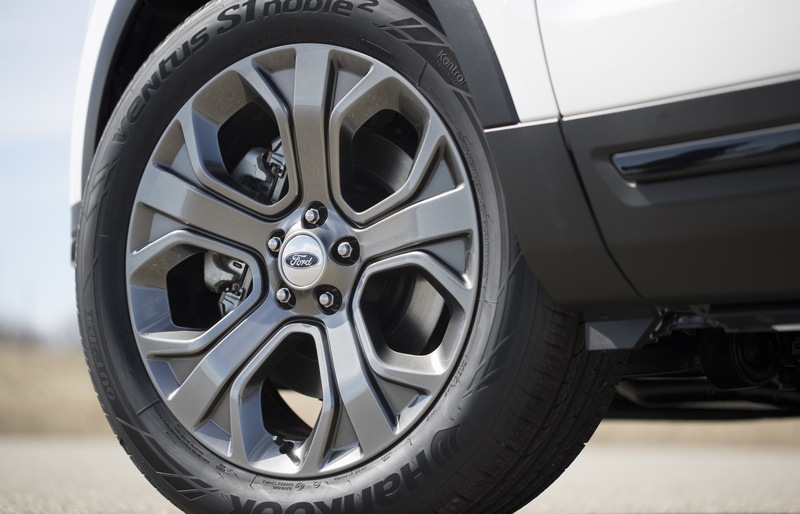 The new details give the 2018 Explorer Platinum a look that’s cleaner and, at the same time, more premium. 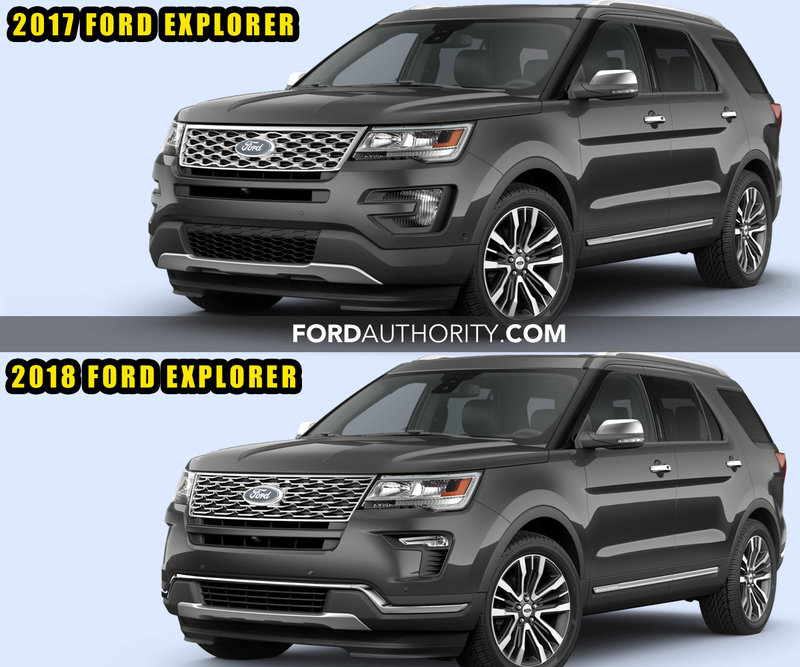 The front end of the 2018 Explorer Sport sees similar changes to the Platinum model, but unique to the Sport model’s specific dark theme. 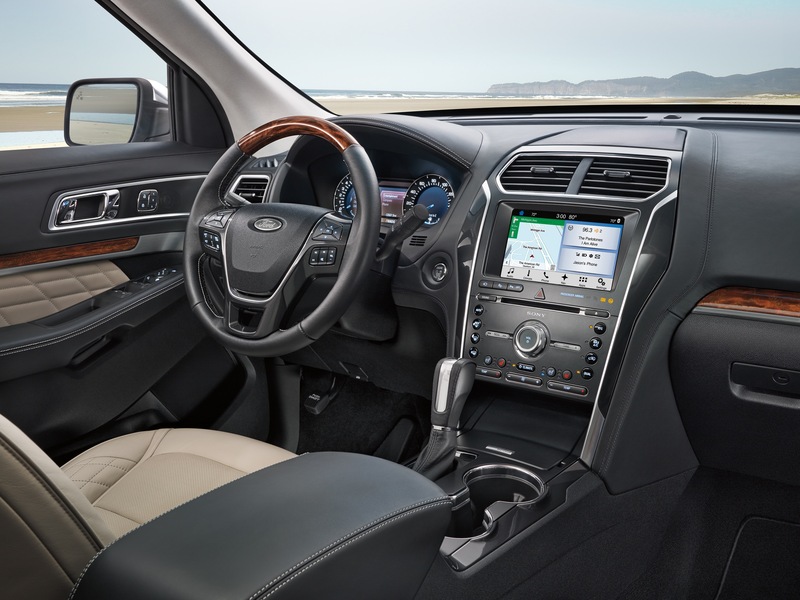 The changes begin with a new grille that now features a new honeycomb pattern. 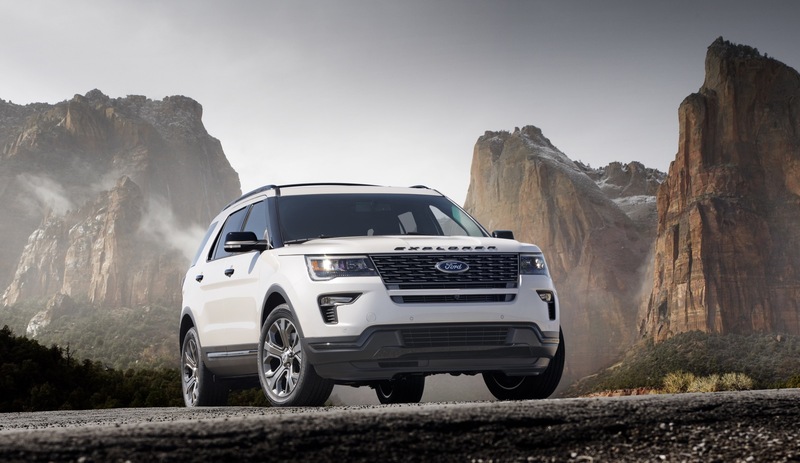 As with the 2018 Explorer Platinum, the Explorer Sport replaces the C-shaped secondary lights with a new horizontally-shaped light. 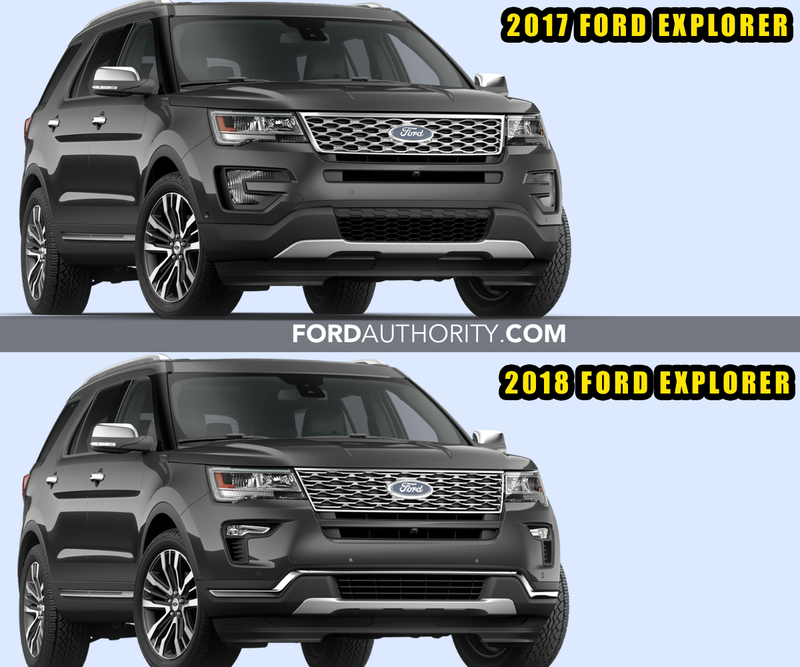 The change gives way to a new shape for the front bumper cover, with the 2018 Explorer Sport gaining a new vertical element immediately beneath the new horizontally-shaped secondary light. 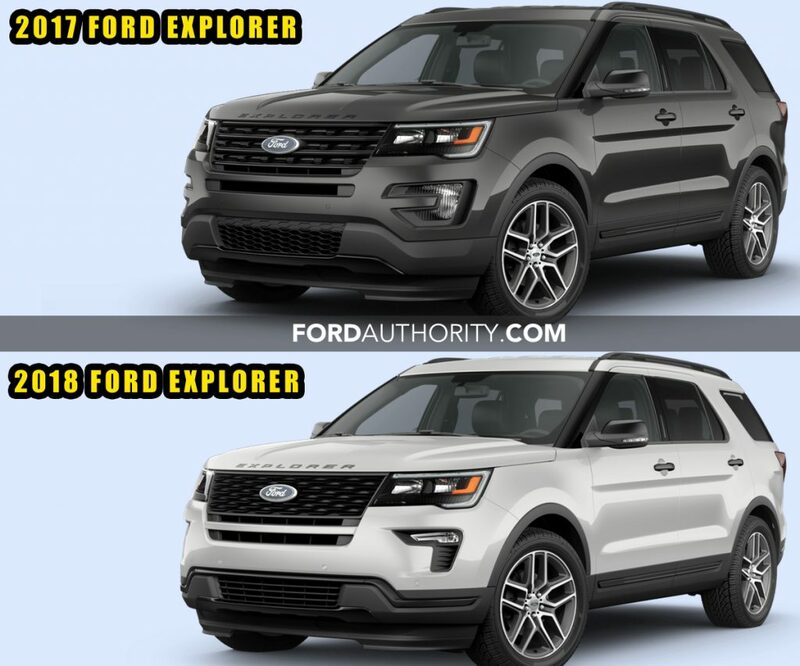 Similar to the Explorer Platinum, the 2018 Explorer Sport gains a new trim piece on the lower end of the front bumper cover. 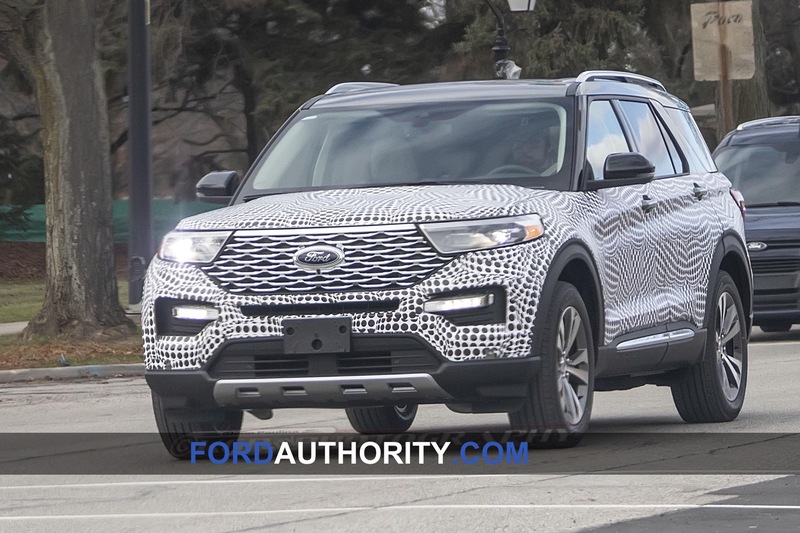 While the trim piece in the Platinum is done in a shiny chrome finish, the one on the Explorer Sport is blacked out – as per the model’s blacked-out design aesthetic. Finally, a new lower grille with horizontal lines replaces the honeycomb-pattern grille of the 2016-2017 model. The 2018 Explorer does not see any changes to the side profile. However, the changes to the rear extend to the crossover’s side profile – making it easier to identify a 2018 Explorer over one from the 2016-2017 model years. 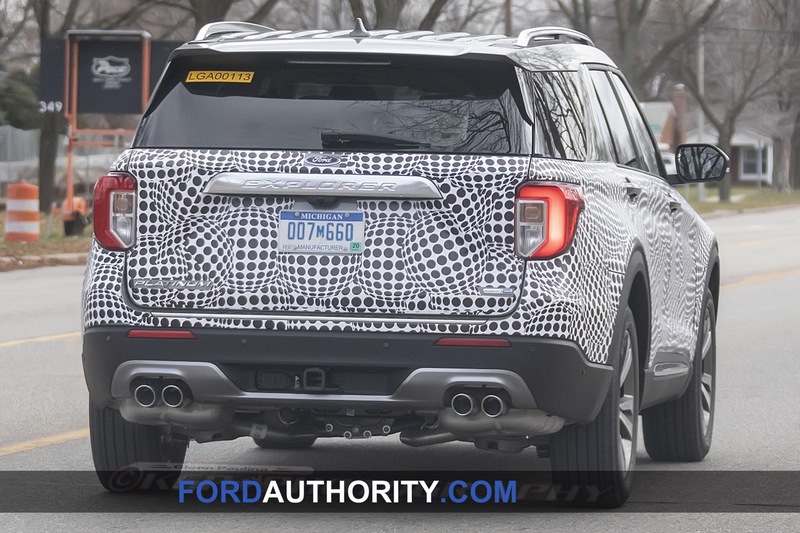 The rear end of the 2018 Explorer Platinum sees four changes over the 2016-2017 model. 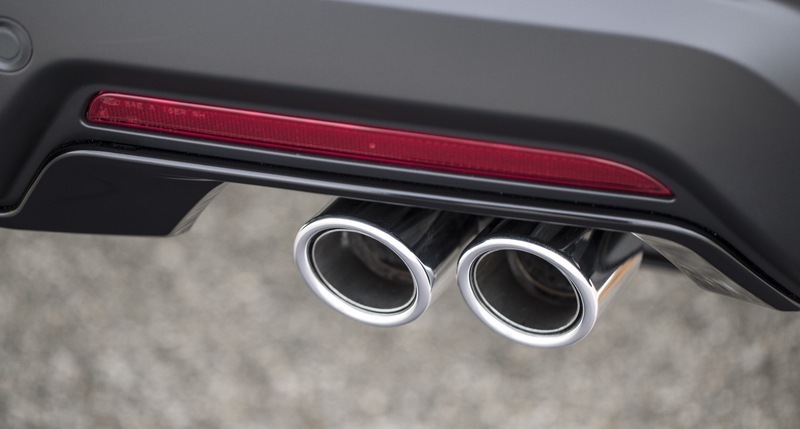 The first is the replacement of the wide dual exhaust outlets with four exposed exhaust tips, which give way to a new lower rear fascia that’s now body-color with a chrome trim piece surround the outlets. By comparison, the 2016-2017 Explorer has a bright/chrome lower rear fascia. 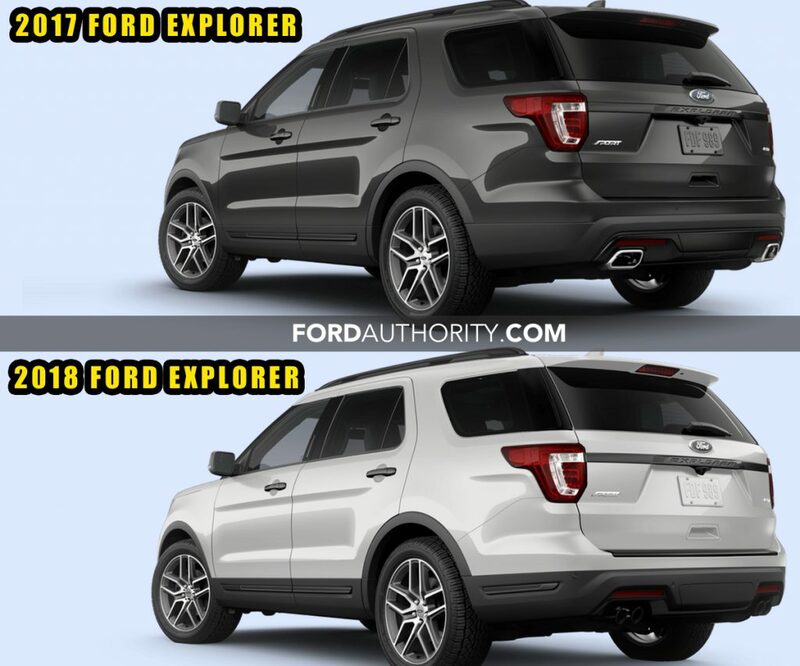 Finally, the 2018 Explorer gains a new bright chrome accent on the side of the rear bumper cover just aft of the rear wheel, as well as a bright chrome accent strip on the upward facing part of the rear bumper cover, just below the bottom-most portion of the liftgate. 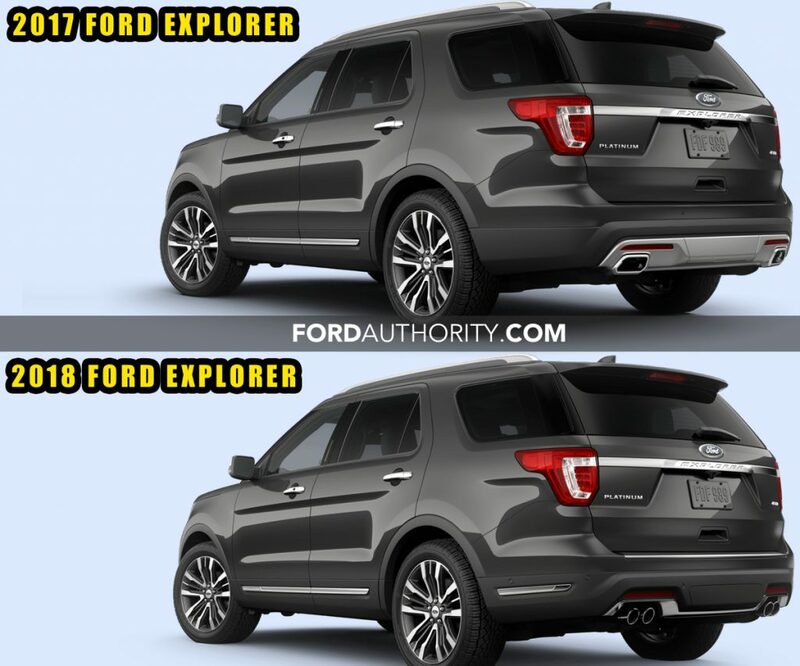 The rear end of the Explorer Sport sees the same types of changes as the Explorer Platinum, but with its blacked-out cues. 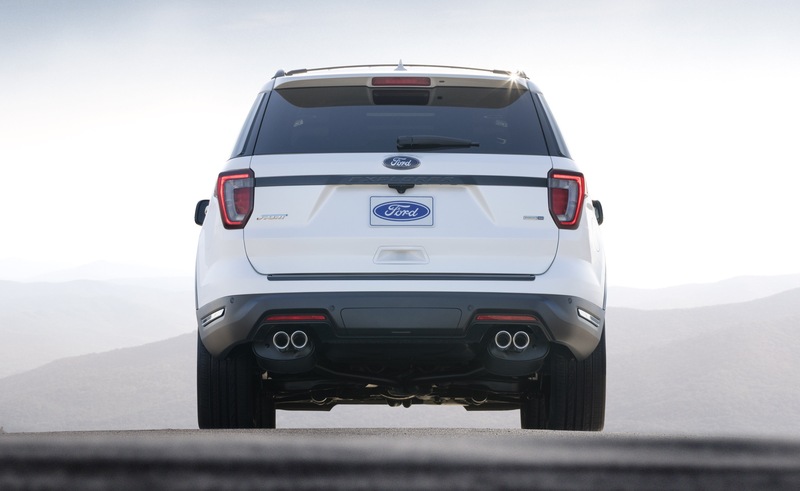 The exhaust switches from dual-outlet to quad-tip, the bottom end of the rear bumper cover gets redesigned, the upward facing part of the rear bumper gets a dark accent, and the bumper cover gets a darkened strip after the rear wheel. 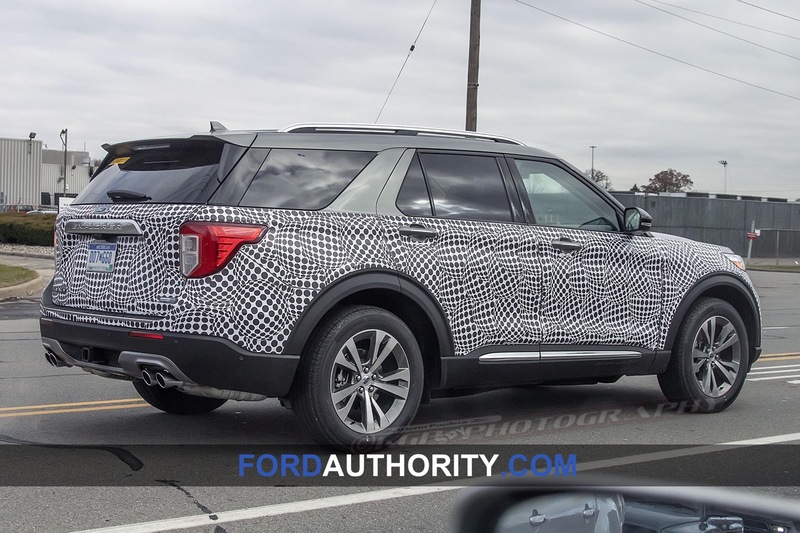 The exterior design changes to the 2018 Explorer are indeed minimal, but we believe they make the already-attractive full-size crossover look even more refined. 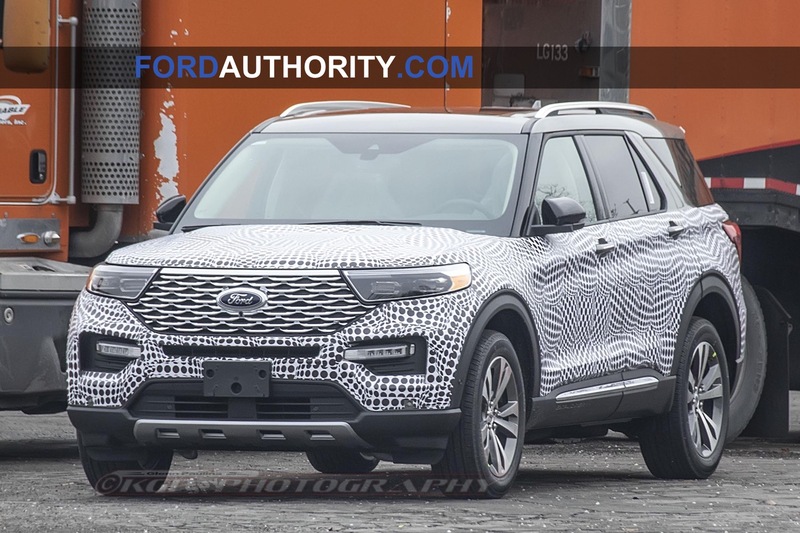 As such, we’re glad Ford made the investment (albeit minimal) in time, resources, and tooling to bring these changes to market for the 2018 model year – which should tide the current model over until the all-new 2020 Explorer on the rear-drive D6 platform is ready for prime time.